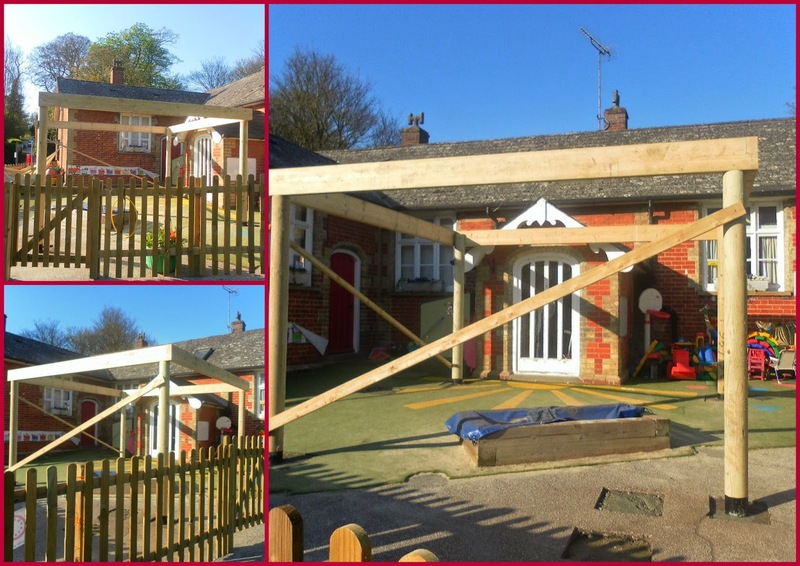 Today work started on our new canopy - phase 2 of our improvement project at the front of the school. As you can see from the pictures below it is starting to take shape and should be completed this week. It has proved more complicated than expected with a rather random network of pipes!